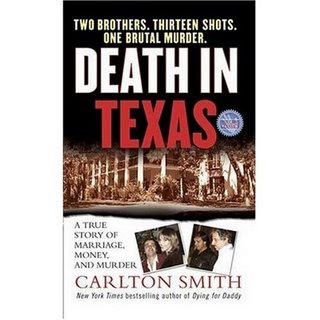 Carlton Smith was a finalist for the Pulitzer Prize in investigative reporting in 1988, and for the true crime readers who enjoy books that delve deeply into the investigation process Carlton Smith always delivers.This book did not have much background information on the main characters so in my case I was disappointed. 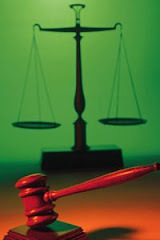 The investigation is detailed as and when the actual investigators would have found out about each certain fact.Due to this I got an insight as to how confusing investigative work actually is and how you ned to keep the facts in order in your own mind to avoid getting sidetracked by details which might be irrelevant.Carlton Smith does go one step further by helping to keep the details clear by emphasising on the importance of each.But this was a really complicated crime and his work was cut out for him from the get go. This book is only available on Kindle now but I have the "real" book version.This review is part of my mission to review all my "old" books in the month of June and get that out of the way so I can concentrate on "new" and current books that I am reading. I prefer true crime books that give a reasonable amount of attention to all the main categories of a true crime and this book was full of the investigation and very little background(which I enjoy) so it does not rate highly in my eyes. I read this book in November 2007 and it does have the 8 pages of photographs.I was also horrified that they would include a photo of the dead victim.How that happened I have no idea.It is not a gory photo at all but I really would have liked to have been warned first. Do you feel more sympathy for husbands that kill wives who were going to leave them as in a crime of passion as opposed to husbands who kill their wives for money? Another Texas stroy! I'll have to look into this. I don't know if sympathy is the word I'd use but I could see a little more leniency being shown in a crime of passion. It depends on the man and how he treated his wife before. If he was an abuser and a controller then killed his wife when she wanted to leave I would feel no more sympathy than toward the cold blooded money killer. ok then.How about this?Where do we classify Scott Peterson.He didn't kill his wife for money so does that fall under a crime of passion then?He never abused/controlled his wife before one fine day he decided to kill her? Sharon you are right.Am busy reading the book Eraser Killers and there is information on this case that I never knew about although I think I have read every other book on this case.Will post review soon.